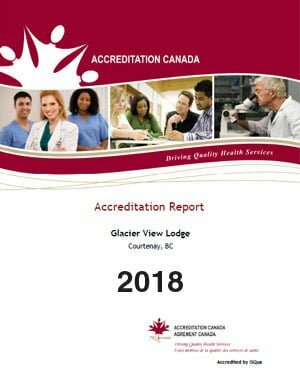 Glacier View Lodge participates in a review by Accreditation Canada every four years and is evaluated based on standards set for similar organizations throughout Canada. Glacier View Lodge was pleased to receive the top award, “Accreditation with Exemplary Standing” in June 2018. Our next survey will be in 2022.